Donald Trump announces his plan to negotiate a free trade deal with the UK after Brexit. Talks can begin in 2021, once the Brexit transition period is over, a letter to US Congress states. 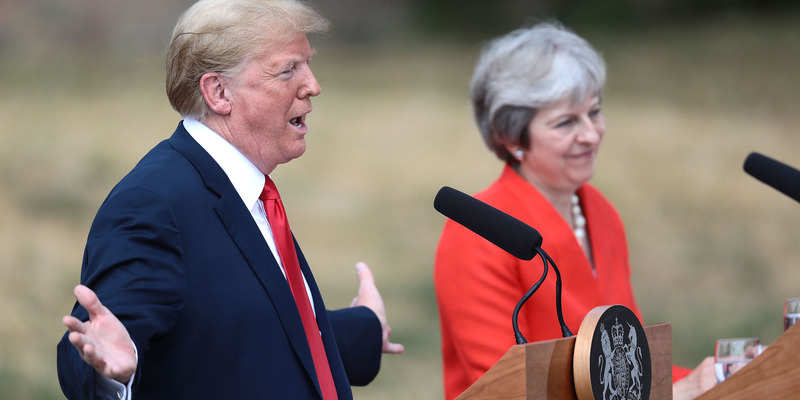 However, Trump’s administration says the UK must abandon “unjustified” food standards before a wide-ranging deal between the two economies can be agreed. MPs, charities and health campaigners are worried that the US will demand UK market access for food products of a lower standard than what the UK currently accepts. Chlorine-washed chicken, hormone-injected beef and food containing maggots, rat-hair and mould are just some of the imports post-Brexit Britain could receive from the US. LONDON – Donald Trump’s administration has said the UK must scrap “unjustified” food and agricultural standards before it can sign a free trade deal with the US after Brexit. 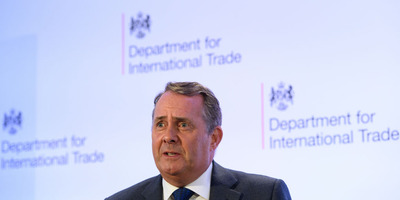 The US Trade Representative sent a to letter to US Congress on Tuesday, formally announcing President Trump’s intention to negotiate a free trade deal with the UK once it has left the EU. BI highlighted last month that under US food regulation, producers are allowed certain amounts of foreign bodies like maggots, rat-hair and mould in a range of food products sold to consumers. The letter will alarm MPs, health campaigners, and animal welfare charities who have expressed concern that the US will demand the UK accepts food products of a lower standard than it does now as an EU member state. Numerous US officials including Trump himself have criticised EU rules when it comes to food hygiene. Wilbur Ross, Trump’s Secretary of Commerce, said last October that scrapping strict EU standards in areas like food hygiene and agriculture would be a “critical component” to any post-Brexit UK-US free trade deal. UK Trade Secretary Fox has repeatedly denied suggestions that he is prepared to “lower” or “compromise” UK food standards. Speaking to representatives of the agricultural sector on Wednesday, the minister said: “There have been a lot of reports lately, mostly on social media, that my Department has been planning to lower food and farming standards when negotiating Free Trade Agreements post-Brexit. However, Fox has not explicitly ruled out accepting US food standards in a post-Brexit trade agreement. He said in November he had “no objection” to UK consumers eating food products which are currently banned by the EU, like chlorine-washed chicken, after Britain leaves the EU.